Biometric technology that is about to go into the market must go through specific testing to ensure that it is up to standard and that it is secure. Some of the metrics used can be confusing and difficult to understand for anybody who isn’t familiar with biometrics, but we will be explaining it to you in easy-to-read English and in detail. If you are looking for which biometric safe that can hold firearms is the best one for you, click here. There is a handful of metrics that are used to gauge the effectiveness of a biometric system. All of them are equally as important as each other. For consumers, the number one thing they are looking for is speed and ease-of-use. This is because nobody wants to be fiddling around with their new product trying to get to work. All technology and product should be working right out of the box. And these testing metrics make sure that these new products are ready to go. Templates is a very heavily used word in the biometric industry. It basically means a data input, so something like a fingerprint, an iris from your eye or some other form of identification. The word template will come up often in the following performance metrics, so it is important that you understand this. False match rate is to test when the biometric product reads the input improperly. This is essentially to see how often the identifier fails and whether or not it needs to be tuned. This is probably the most important metric for consumers because nobody wants to buy a faulty product. If the false match rate is not taken seriously, it can result in intruders gaining access to any kind of biometric identifiers. This obviously will result in damages or loss of valuable items and assets. Unlike its FMR counterpart, this metric – false non-match rate is to see how many times the biometric identifier incorrectly rejects the person with permission to enter. This basically means that if somebody has added a template to their new biometric product, so it accepts something like their fingerprint or Iris, and the identifier fails to accept them; this means that the biometric identifier has not done its job properly and thus has performed a false non-match rate. The ROC is essentially the trade-off between FMR and FNMR. This is uses an algorithm that allows the programmers and developers to decide how close of a match the person trying to gain access must be to the template stored in the database in order for them to gain access. It is a threshold. If the threshold is reduced, there will be fewer non-matches but more false acceptances. This basically means that there is a higher chance that somebody without proper authority to enter will get in, but less people with authority will be rejected. Programmers and developers essentially use graphs and high amounts of data obtained through testing to find the sweet spot to ensure that the right people are getting in, and the wrong people are staying out. This is the rate in which both rejections and acceptances are equal. This is a simple metric, and the device with the lower equal error rate is often looked at as the most successful product. Normally the metric that deems a product the most successful, but also makes the product most desirable because it will result in less customer frustration due to higher accuracy. This is essentially when somebody tries to create a template that the biometric identifier can add to the database for later use, but the identifier fails to add the template into the database. Most commonly caused by low-quality inputs, this can be easily corrected by doing the template creation over again. Failure to capture rate is when an identifier fails to recognize that a verification attempt has been inputted and does not react accordingly. Say, for example, somebody has a fingerprint scanner and goes to open it by using their fingerprint; the device does not recognize that there has been a fingerprint input and does nothing. This is also a very important metric when trying to sell a commercial product. Having a device with a failure to capture rate that is fairly high will result in high customer frustration and even worse, higher returns of the product. Template capacity is the number of sets of data that can be stored within the biometric device. Normally, for someone using it in a simple safe for their home, they do not need many templates. Really just a couple different templates based on their fingerprints. For buildings like Government Buildings and other places like lirports, it is important that they have high template capacities. This will allow no restrictions and no wasted time on trying to increase template capacity. Now that you have read through the article you are now ready to make an educated buyers decision. 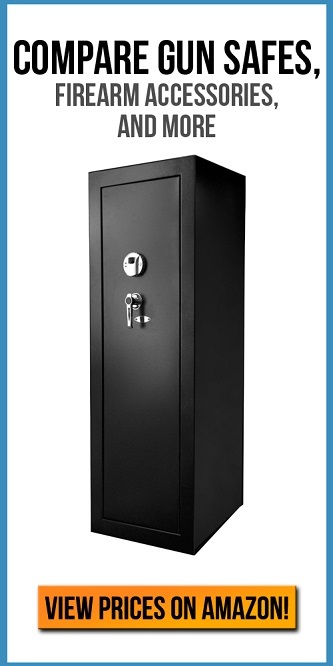 This information is extremely important because if you are able to locate this information for any of the safes being offered by the safe manufacturer, you will be able to avoid any frustrations you have as a user of their products.